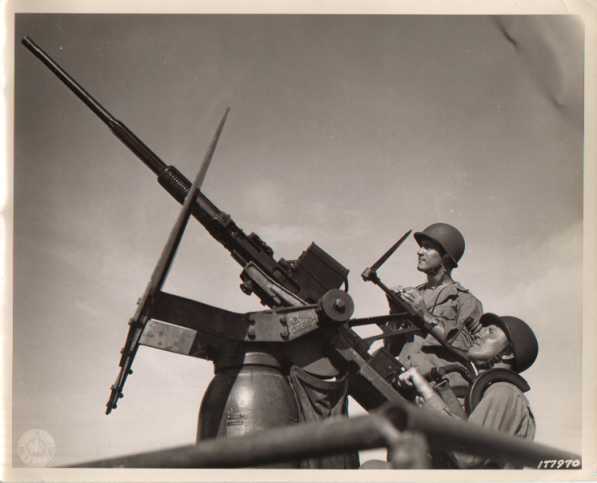 Many countries have used 20mm anti-aircraft guns on board ships and on land. They were especially popular during World War II. 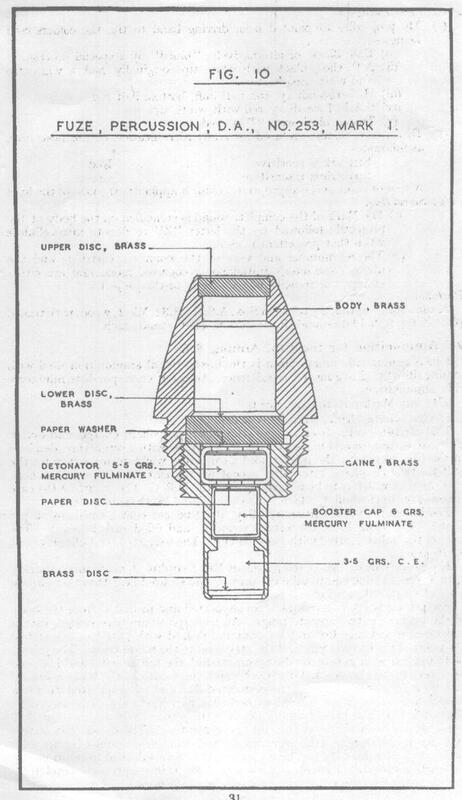 20mm cartridge – Oerlikon World War II. 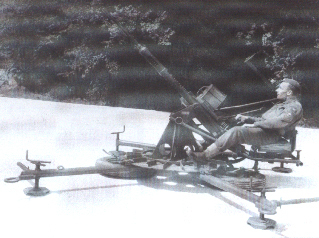 The Germans had some 2 cm guns of their own designs and usually used very different gun mounts. 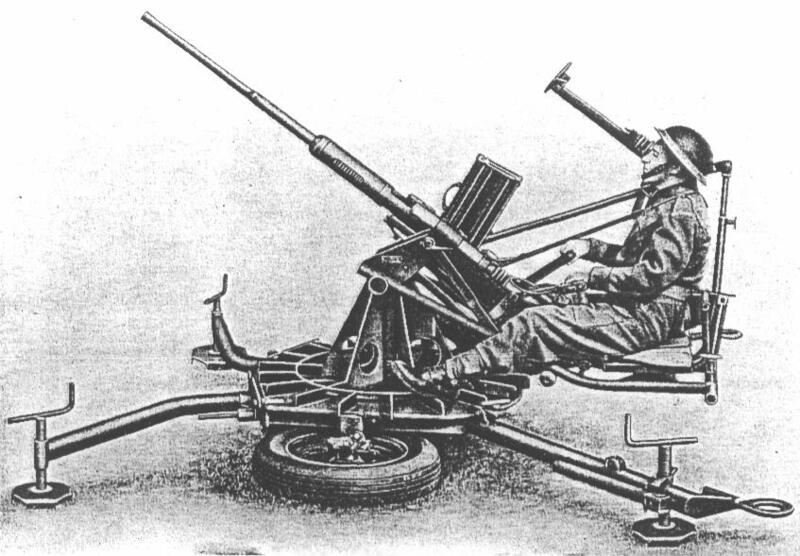 The British and Commonwealth armies used some Hispano-Suiza type guns, but mainly used the Oerlikon and the simplified version of the Oerlikon developed by the Poles just before WWII (thus the “Pol” in its name “Polsten”). The Hispano-Suiza was used on some aircraft I believe such as some Marks of the Spitfire. 20 mm usually called “2 cm” by Europeans as 20 mm = 2.0 cm in the Metric system which they invented, just as the 88 mm is properly called the 8.8 cm). 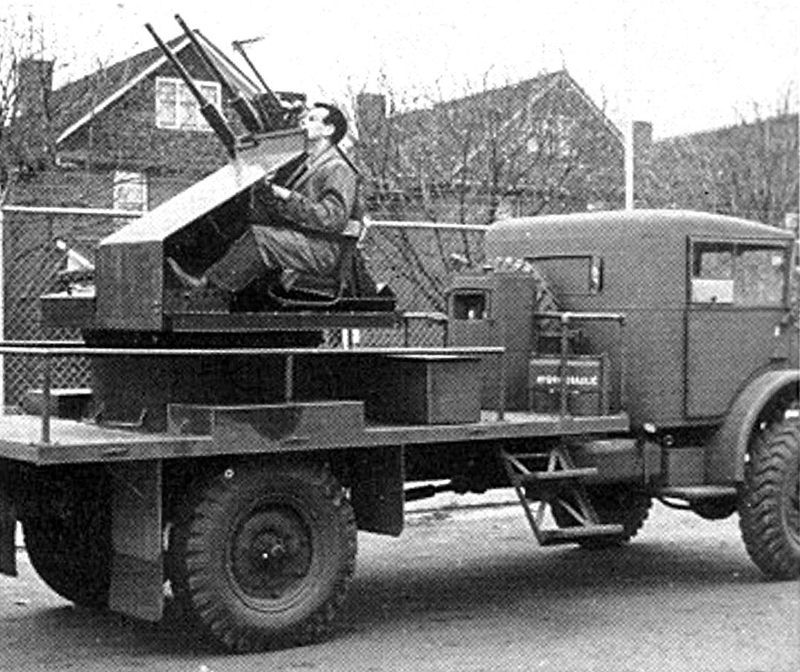 20 mm (2 cm) AA guns were used on ships, on barges, anti-aircraft tanks, single towed guns, quadruple towed guns, and on a portee (a truck to carry them but dismountable) and near the end of WWII on US built LVT(4) Alligators. Perfected by Oerlikon in Switzerland. 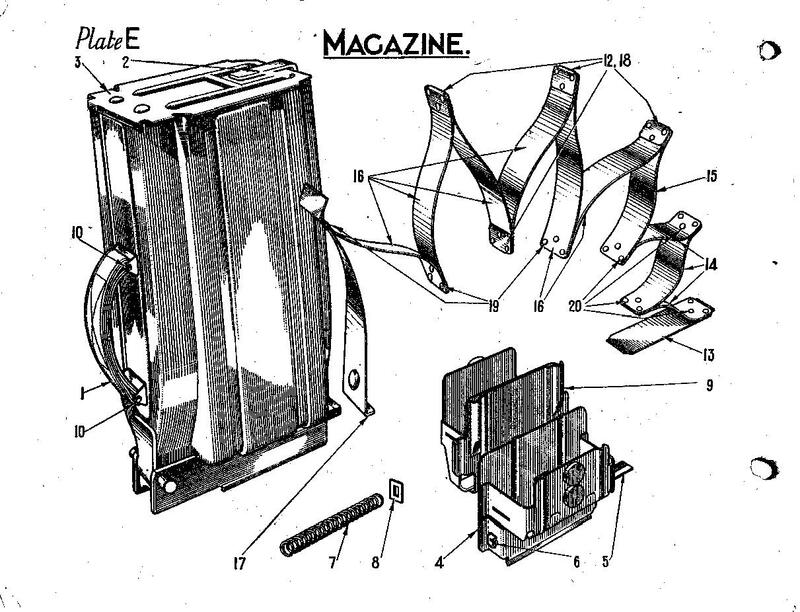 The Poles simplified the Oerlikon in 1939 and then with the British, developed the Polsten which was issued by 1944. 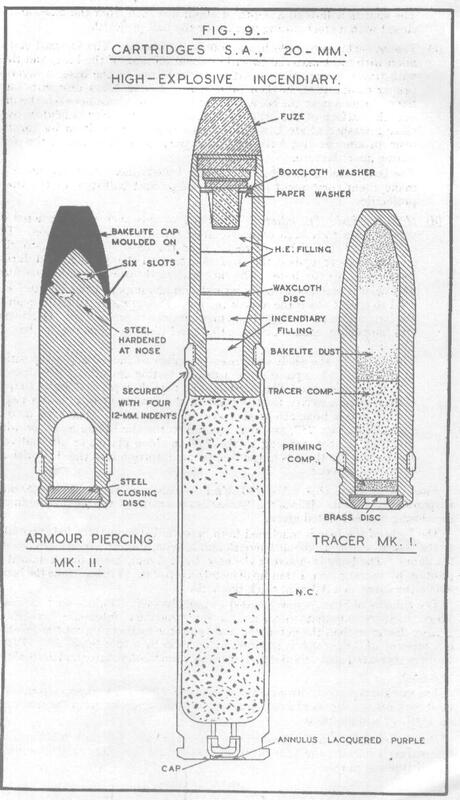 There is confusion over the types of ammunition. 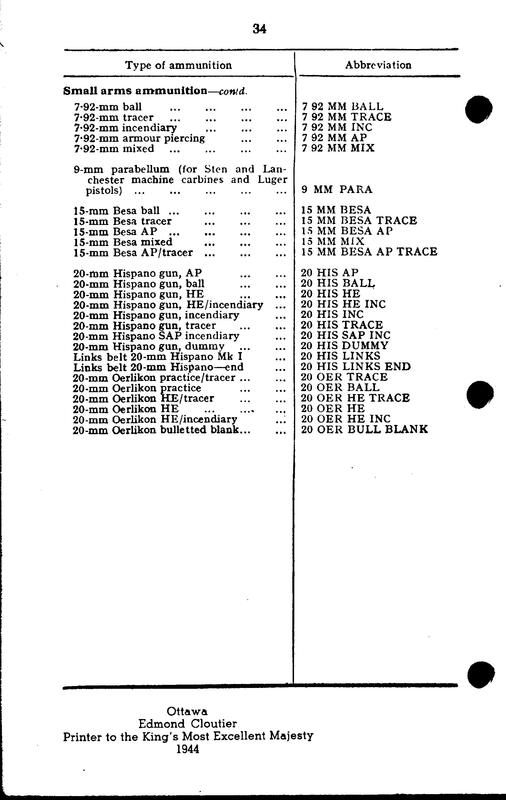 Here is the OFFICIAL 1944 British and Canadian Army list from 1944. 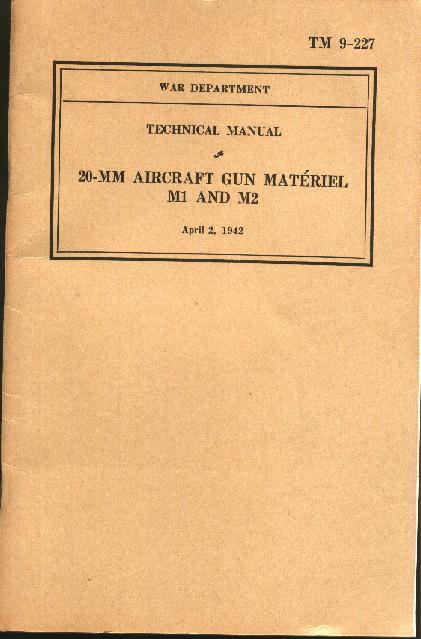 Field Service Pocket Book on Small Arms Ammunition 1944. 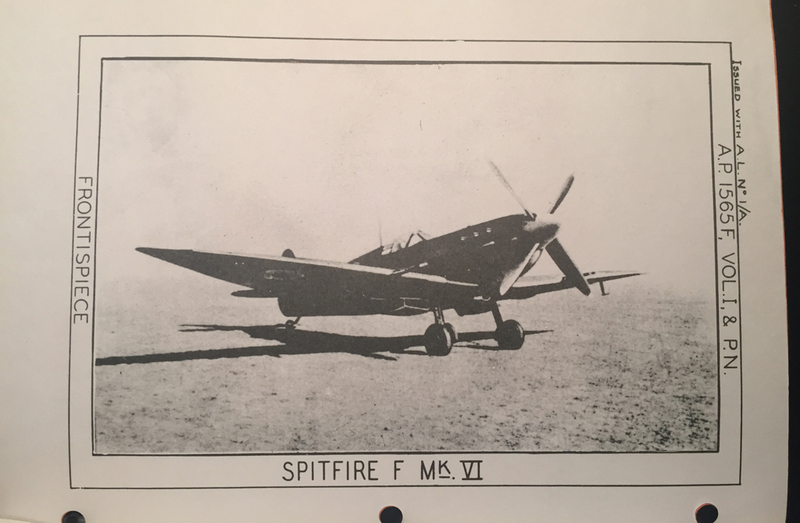 Manual SPITFIRE VI Merlin 47 engine – Pilot Notes (reproduction) The Allied air forces used 20 mm cannons (machine guns) on aircraft during WWII. The Spitfire Mk. IX, Hurricane IIC, Typhoon and Tempest are well known examples. These guns were of the Hispano-Suiza type, that used a different ammunition than the Oerlikon. Detail of cover of a WWII U.S. military manual. 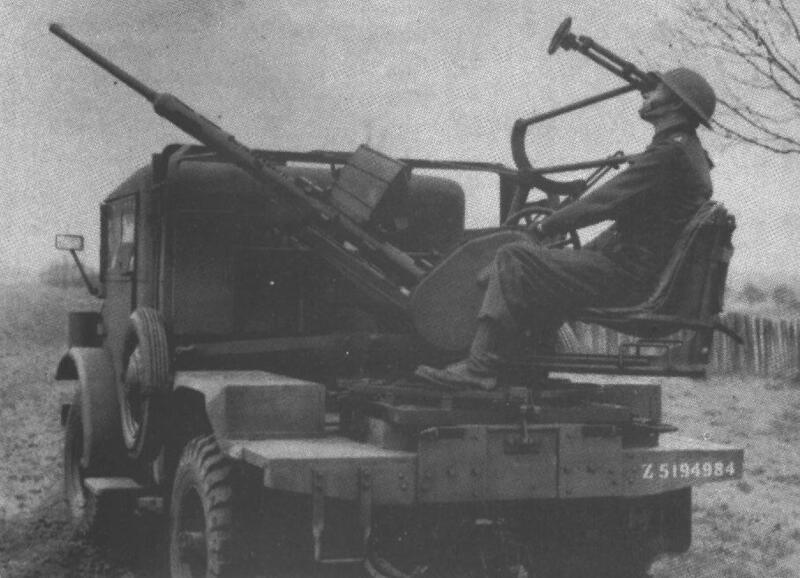 The Canadian Army used some 20mm guns, including quad (4) mounted on a Skink tank. Skink turret, unfinished, one of two used as gate markers for a range at Vernon Cadet Camp in British Columbia. Reported by the late Bob “Sudsy” Sutherland of Western Command MVHS. Photo by Colin Stevens. The two unfinished Skink turrets at Camp Vernon, BC after recovery by the Lord Strathcona’s Horse (Royal Canadians) in Edmonton, Alberta. 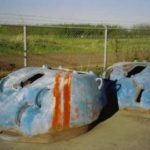 One Skink tank was sent to North West Europe for testing. It fared well, but the need had passed as the air threat was minimal by then. It was used against ground targets with success, but the only time a German aircraft came within range, the tank was not manned. British single Polsten gun carriage, British Army, early model (?) with metal wheels. Picture via David Hayward in England. 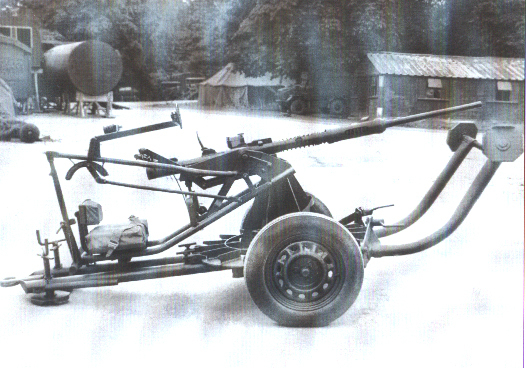 The CMP portee version is thought by many to have not been used in the fighting in Europe, however I have now found a photograph showing at least three or four of these vehicles with their guns on the Normandy beaches in July 1944. The trucks appear to belong to the British 7th Armoured Division. 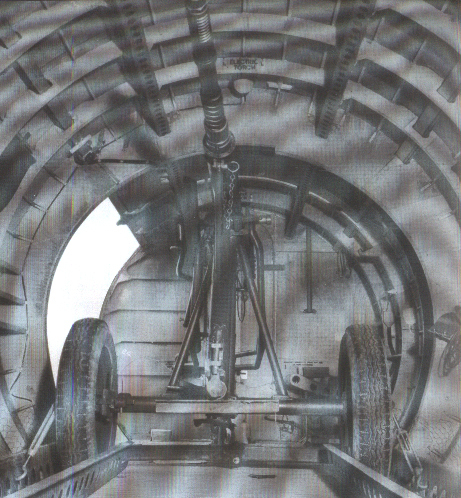 A 20 mm gun on the special airborne carriage. With the 6th Airborne Division, Germany, 1945. 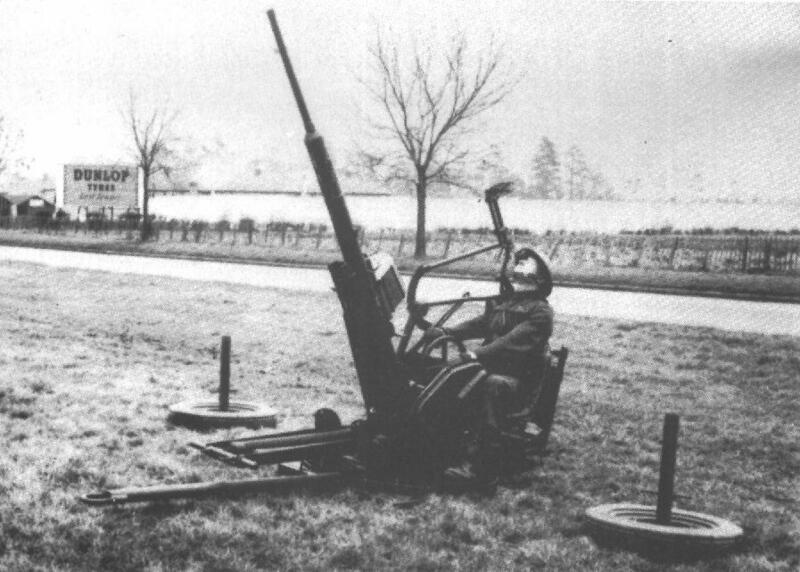 The British Airborne Forces had a special gun carriage designed and called it the “MOUNTING, AIRBORNE, 20-MM GUN No. 2 MARK 2 LAND SERVICE”. 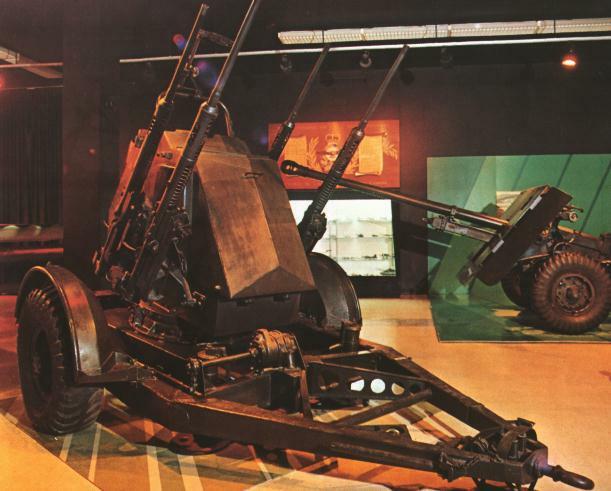 The Australian Army used 20 mm guns in the South Pacific and in the Korean War. Search the Australian War Memorial web site photo collection using “Polsten”. Also look under “Oerlikon”. 20 mm Airborne in travel mode. 20 mm Airborne deployed for firing. 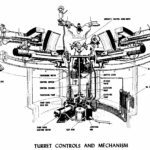 The US Navy found that the 20mm was not powerful enough to stop the Japanese Kamikaze airplanes and about 1944 were busy switching over to 40mm Bofors guns. 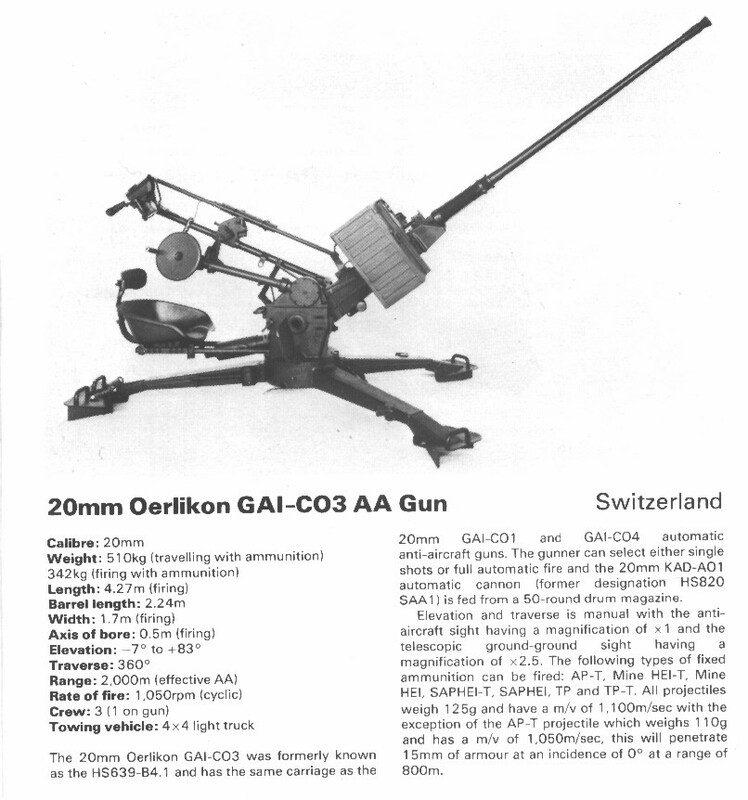 The Swiss Oerlikon company continued to sell 20mm AA guns after WWII. The Swiss Army used 20mm AA guns until the late 1990s and then replaced them with the Stinger handheld anti-aircraft missile. This mount had two basic models. No. 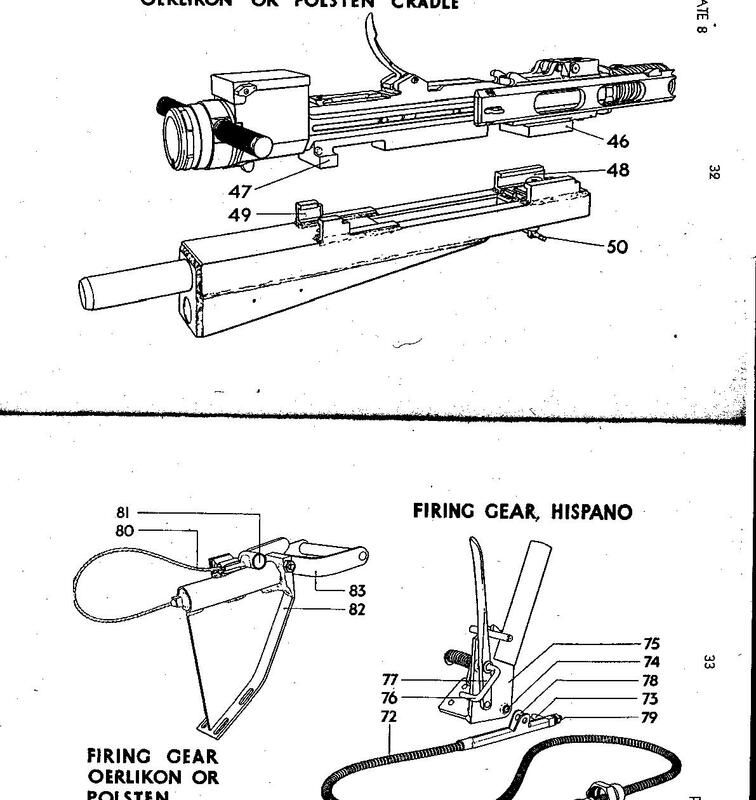 1 with cradle for 20 mm gun M2 (American Type Hispano) and the No. 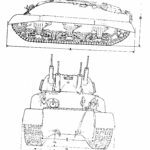 2 with cradle for one Oerlikon or Polsten 20 mm gun. 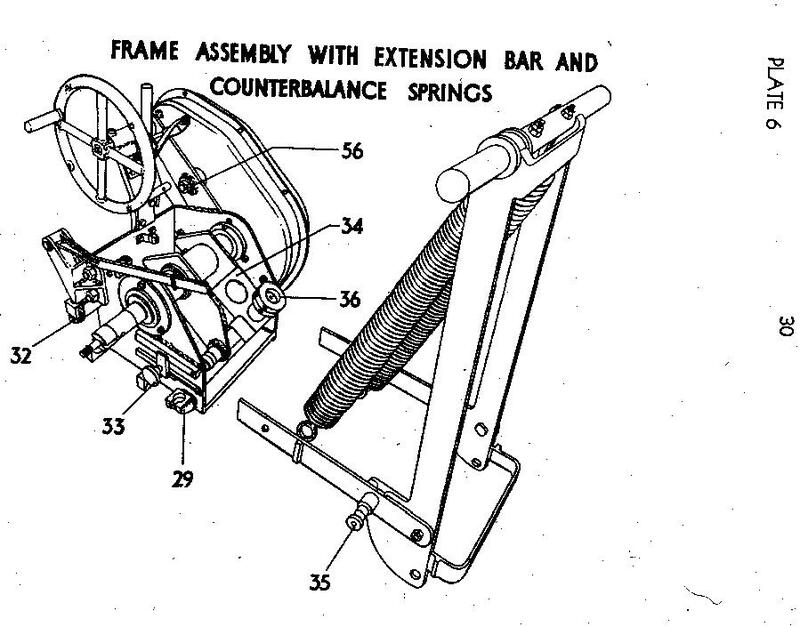 The early model had the single draw bar as shown and all metal wheels. 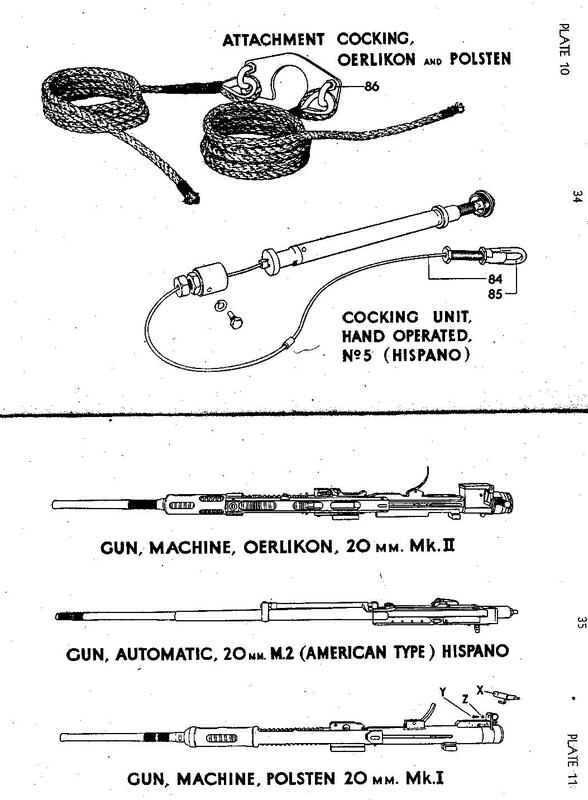 Cocking mechanisms and guns types. Polsten 30 Rd box magazine. Airborne troops unloading a Horsa glider, apparently 6th Airborne Division in Germany, March 1945. Non-airborne helmet on this gunner, so he is probably with the Ordnance, a school or a testing unit. Line drawing shows it without the gun. I also have four 20mm shell casings dug up on the battlefield at Arnhem by Hans van der Velden near the Hartenstein Hotel where the British 1st Airborne Division made its heroic stand. These came from the Recce Squadron’s second gun which survived to the end of the battle. 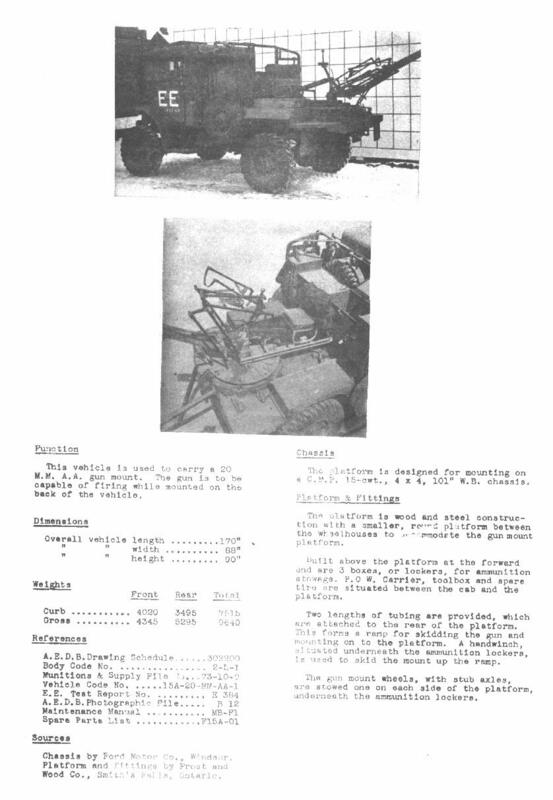 Page from the AEDB Design Record showing a Canadian Military Pattern 20mm AA 15 Cwt Cab 13 truck under test (thus the “EE” on the door) probably the prototype. Click to enlarge the photo. 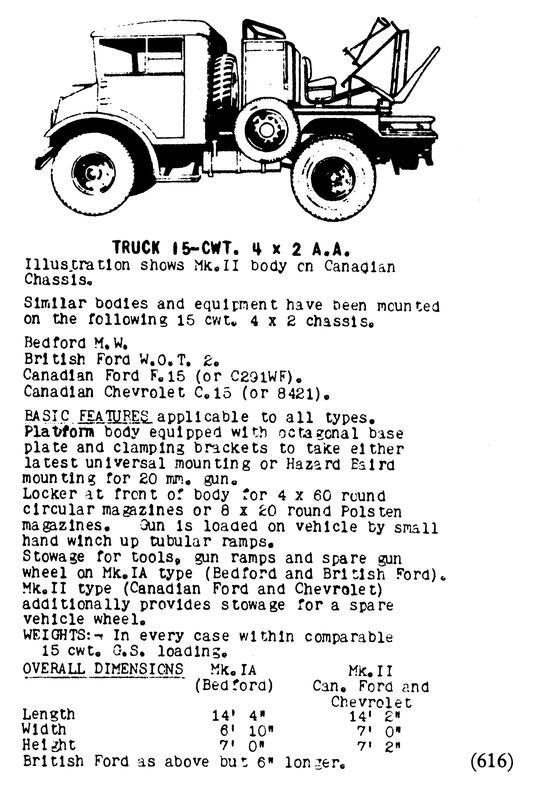 This is the type of truck that Dave Ballard has saved and restored in England (see below). 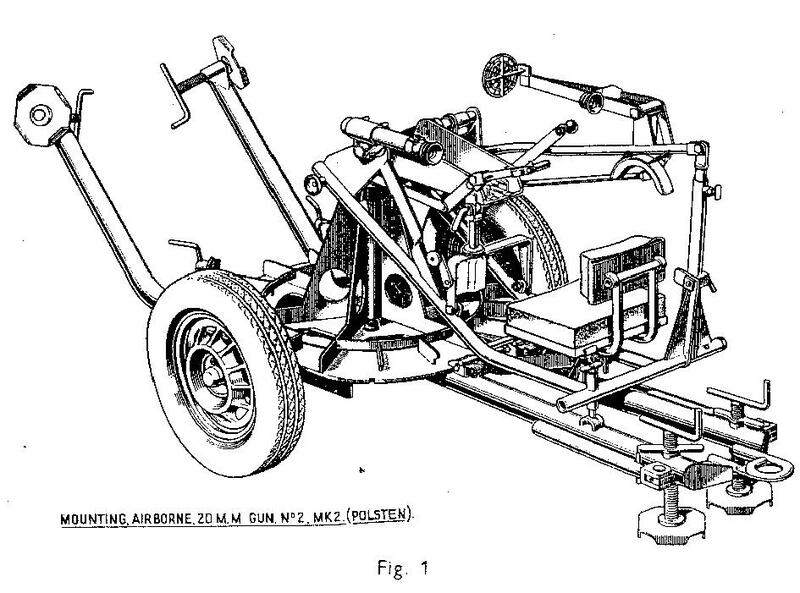 Page from British Data Book (reprint) showing the CMP portee with gun mount, but no gun. Quad Polsten in Canadian War Museum. This photo is from one of their old catalogues. The unit is likely in storage at CWM’s Vimy House. Dave Ballard restored F15 Canadian Military Pattern truck made to carry a 20 mm Polsten gun, and it has since been sold in the UK. A single gun on the iron wheeled mount survives in a British museum. A restored deactivated Polsten is on a restored airborne mounting in the UK (2002). It was sold to the Airborne Museum in Oosterbeek (Arnhem), Netherlands. I had a chance to buy it but I could not afford it. It went to a good home. An incomplete Universal mounting survives in England. A Polsten Universal mounting survives on at least one LVT (Alligator? of Water Buffalo?) in the UK apparently. A quadruple power mount survives in the Canadian War Museum. Similar mounts are in England having come surplus from Portugal apparently. The Army Museum at the Citadel in Halifax, Nova Scotia has a 20mm single ground mounted 20-mm. 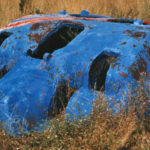 A Skink tank turret was found and saved by Dr. William Gregg back in the 1970s. It is now in the Royal Canadian Artillery Museum in CFB Shilo, Manitoba. Through lead from a late friend, Bob Sutherland, I found a second surviving Skink turret in Western Canada. I have encouraged the Canadian War Museum to acquire it. It may have been saved but the RCA Museum or a museum in Alberta. 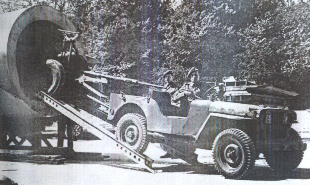 Canadian War Museum has some Oerlikons and Polstens in their collection including a Quad Polsten mount on a trailer. Swords and Ploughshares Museum near Ottawa has a Quad Polsten. What does the “sten” in Polsten refer to? Most sources say that Polsten was from Poland (as they developed the design concept) and say that “Sten” was a British company that carried on the development work. I do not think this is correct or that there was a “Sten” company. WHEN were the Polstens introduced? 1943? 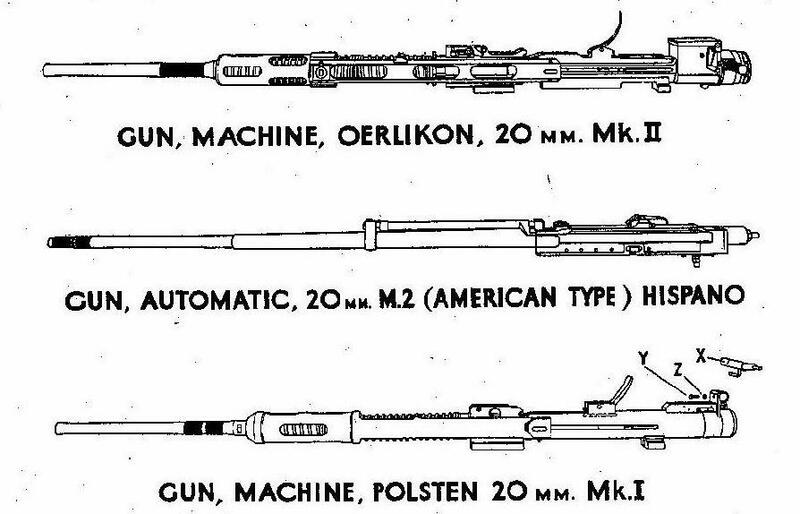 The “PARTS LIST FOR GUN, MACHINE, POLSTEN, 20-mm, Mk. I AND MAGAZINE, 30 rd., 20-mm, POLSTEN, Mk. I 1943” that I now have a photocopy of courtesy of Dave Ballard in England is dated February 1944. WHERE WERE THEY USED IN ACTION? I have found photographic proof of the CMP single gun trucks, at least four of them, going into action in July 1944 in Normandy (they had just landed on the beach) and single gun mounts in Australian Army service in the South Pacific and in the Korean War for airfield defence.